K-9 Bubka made his first public relations event appearance at the Sept. 12 Family Safety Day in Warsaw. WARSAW — Meet Bubka, literally a new breed of police officer. 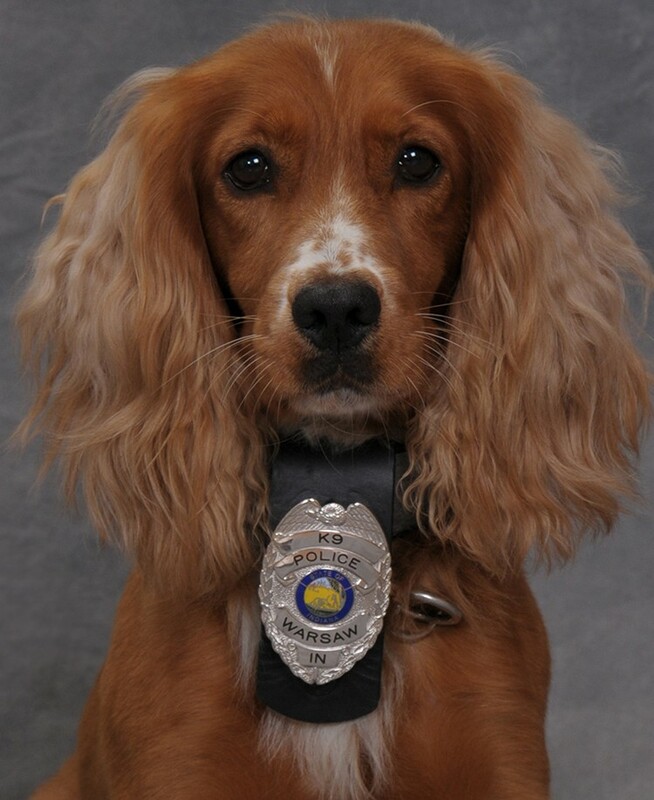 Officially dubbed K-9 Bubka, the 2 1/2-year-old English cocker spaniel joined the Warsaw Police Department’s narcotics unit in July. His duties will be confined to detecting drugs and tracking persons such as lost children and missing Alzheimer’s patients. He joins his canine colleagues, Dax and Mako, Belgian malinois often mistaken for German shepherds, who entered the force in April and October 2013, respectively. 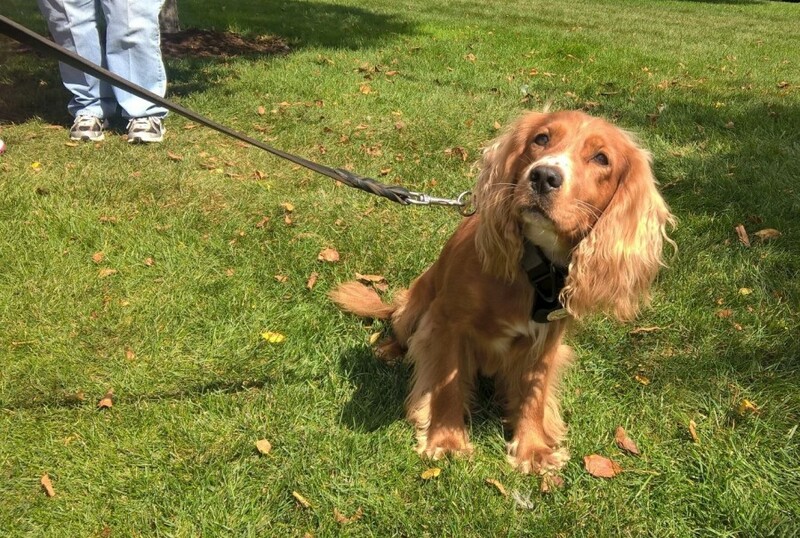 Bubka was born January 2013 in the United Kingdom, where cocker spaniels were originally bred as hunting dogs. His 12 weeks of training in the Netherlands and in Denver, Ind., consisted largely of channeling his natural intense drive for hunting to searching for drugs and finding lost persons. The purchase of all three dogs was made possible by the “generous donation” of a benefactor who prefers to remain anonymous. “We wouldn’t be able to have a canine program without this donor,” said Beam. Beam visited the kennel in Denver to acquire a drug-sniffing police dog. “I told them we wanted a non-biting dog. They demonstrated some Labrador retrievers and springer spaniels” among the hundreds of available trained animals. “Bubka blew all those dogs out of the water with his ability to find drugs,” Beam said. Police dogs live with their handlers, with all expenses paid by the city until the dog retires. Then the handler is given the option of purchasing the dog for $1 and assuming all expenses thereafter. Handlers understandably become very attached to their canine partners. Beam did. “I had a K-9, Buddy, for eight years and it will be the highlight of my career. The bond that is built between handler and K-9 is unlike any other. For more information about Bubka, call the Warsaw Police Department at (574) 372-9515. K-9 Bubka joined the Warsaw Police Department in July, becoming the department’s first canine assigned to the narcotics unit.